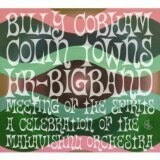 Mahavishnu Lives: Review of Billy Cobham, Colin Towns and The HR Big Band "A Meeting of the Spirits: A Celebration of the Mahavishnu Orchestra"
I admit it, I am an unabashed fusion fan. Having grown up with this powerful music-spanning the boundaries between rock and jazz- at a particularly impressionable time in my life, it has always had a special place in my heart. I have often felt however, that as I aged the music didn’t age that well with me and I wasn’t quite sure why. I still enjoyed the music and I continue to follow many of the artists that were so instrumental in its creation, especially the music of guitarist John McLaughlin. But, despite all of this, I discovered that with few exceptions I would more likely revisit a classic by Coltrane, Evans or Davis before I reached for a Headhunters or Return to Forever or Lifetime album to put into my cd player. Perhaps it was that no recording, no matter how faithfully reproduced, could fully capture the excitement, the torrential power that gushed at you when you experienced these groups first hand. Was it that the music didn’t possess that special something that would allow it to transcend time or place? Was it created at just one special, unreproducible moment in time when all things converged to produce the perfect musical storm? Along comes the German HR (Heissische Rundfunk) Big Band under the direction of British arranger and composer Colin Towns with a new “live” album “A Meeting of the Spirits: A Celebration of the Music of the Mahavishnu Orchestra”. The HR Big Band is no stranger to mixing it up with jazz and rock musicians as they have performed in the past with such notables as drummer Jeff Hamilton and organist Joey De Francesco, guitarist John Scofield and Cream bassist Jack Bruce.This project could have easily fallen victim to its own lofty ambitions. Who could possibly recreate this powerful, energized and spiritually infused music faithfully? Fortunately this recording proves to be an enlightening and enjoyable experience that gives credence to the idea that this music does have an inner depth and beauty that can stand the test of time. The selection of some of John McLaughlin’s most potent songs, a sympathetic arranger in Colin Towns, talented musicians who possess both the technically capability to play this demanding music and the spiritual connection to its essence, all legitimized by the inclusion of powerhouse Mahavishnu drummer Billy Cobham, combine to make this record a rousing success. Towns chooses his music well, starting off with the introductory affirmation “Hope” and running it into the frenetic “Birds of Fire” . Listen to guitarist Martin Scales screaming guitar riffs being backed in unison by a full complement of horns, interspersed with saxophone and trumpet solos, and you immediately realize the possibilities this larger palette of sounds can bring to this music. Cobham demonstrates his rhythmic inventiveness as he segues into the probing “Miles Beyond”. A trumpet solo by Martin Auer, leading into an alto saxophone solo by Heinz-Dieter Sauerborn and subsequently into a trombone solo by Gunter Bollman brings a new dimension to this music. The pace changes with a ruminative trumpet solo by Alex Schlosser leading into the climbing, transcendental progression that is “Resolution”. A poly tonal drum solo by Cobham introduces the only non-McLaughlin composition on the program, Narada Michael Walden’s funk infused “Cosmic Strut”(originally from Visions of the Emerald Beyond ), which is playfully rendered. The use of this stringless, seventeen-piece orchestra under the tight arrangement and direction of Towns, has shed light on the true compositional creativity that these McLaughlin tunes have always possessed. This album uncovers the hidden beauty that are embodied in these often-dynamic pieces of music. A beauty that may have been somewhat obscured over the years, taking a back seat to the memory of the raw energy and stunning virtuosity with which these pieces were originally performed. This is most obvious with the group’s moving rendition of the beautiful “Dawn”( originally on "Inner Mounting Flame" ), with its ascending theme accentuated by a particularly emotive piano solo by Peter Reiter. These musicians play these arrangements in a particularly reverential way demonstrating how deeply this music has been woven into their musical psyche. The program, which lasts a little over seventy-four minutes, plays like a continuous concert performance complete with applause breaks between songs. 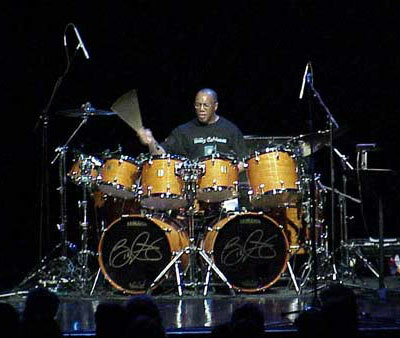 Billy Cobham’s drum work is joyful, sharp and relentlessly driving and at the thoracic center of the project. The remaining program includes the rousing “Eternity’s Breath Part 1 & 2”, the at times dream-like “Sanctuary” the hectic “Celestial Terrestrial Commuters” with its Jetson-like frenzy and the contemplative “You Know, You Know”. The hard driving “One Word”, finds Cobham pushing the band to increasingly higher and higher levels of excitement, resolving in its cacophonous conclusion. 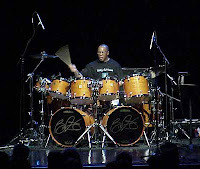 The finale is the title tune “Meeting with the Spirits” with its effective use of tension building measures created by cascading horn sections, separated by spirited individual solos on alto, dueling trumpets and guitar, and firmly guided by Billy Cobham’s unerring drive and the orchestral vision of Colin Towns . You Know, You Know; One Word; Meeting of the Spirits. All compositions by John McLaughlin except Cosmic Strut by Narada Michael Walden. 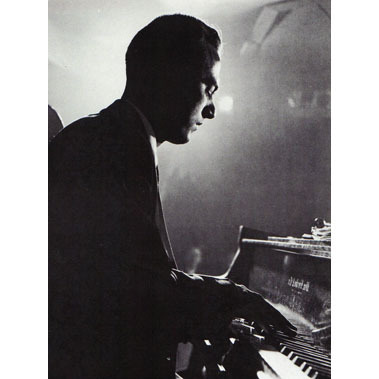 Interview with Jack Reilly on his New Book "The Harmony of Bill Evans"
Pianist Jack Reilly has been teaching, composing, playing and analyzing music for the better part of sixty years. He has been a student of both western classical music and the modern jazz tradition, having studied at times with iconoclasts like George Russell, Lennie Tristano and Hall Overton. 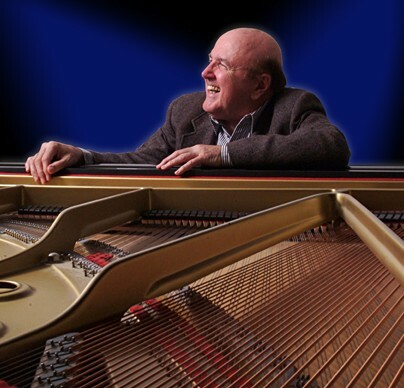 He has been a respected member of the faculties of Berklee, Mannes, New England Conservatory and other musical institutions, and continues to teach privately to advanced students. Over the years he has released numerous recordings of eclectic and thoughtful music that have garnered considerable attention from the cognoscenti. His most recent releases, the Jack Reilly Trio “Live at Dean Clough Centre” , “Pure Passion” and his “Innocence: Green Spring Suite” being cases in point. His music is in many ways the embodiment of what Gunther Schuller called "Third Stream", as he has codified the swing and feeling of jazz with the beauty and rigor of western classical music in a seamless, integrated and inspired fashion. 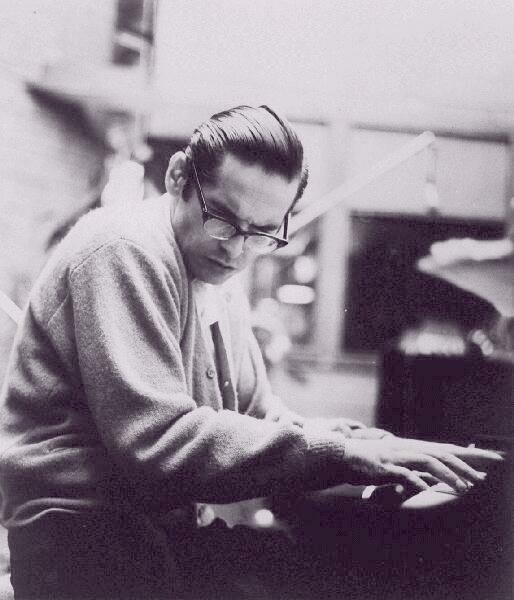 In his in-depth analysis of Bill Evans work, he has attempted to elevate the awareness of musicians, students, musical scholars and the listening public to the true depth of the genius that this “American Chopin” brought to the musical table. Evans, more than perhaps any other twentieth century musician, created a body of work whose nucleus was genetically inherited from a thorough absorption of the western classical tradition, primarily through Debussy, Ravel and Stravinsky. 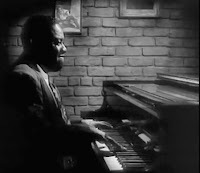 He was able to infuse this core understanding with the jazz influences of Art Tatum, Bud Powell, Charlie Parker and others, mutating the gene he was creating by synthesizing elements of swing, harmonic invention, melodic nuance and rhythmic diversity to create his own singular brand of musical expression. Reilly has, through his own careful and studied analysis, recognized this genius. He has methodically deconstructed some of Evan’s most challenging compositions and details the deceptively cunning rationale and inventiveness behind Bill Evan's work. I first interviewed Jack in 2008 for All About Jazz and a reprint of this interview ( click here to see whole interview) is included in this latest book. With the release of this new book “The Harmony of Bill Evans” Vol 2 I thought it was time to revisit Jack. RAM: Jack, your first volume on Bill Evans came out in 1992 and now this second Volume “The Harmony of Bill Evans” was just published by Hal Leonard this month. It seems like you have made a life’s quest out of studying Bill, secondary only to your own composition and performance. What drives you to study this man’s work in such intricate detail? J.R. I resonate to his sound, style and compositions. He "speaks" directly from his SOUL; nothing gets in the way of his message of beauty. I love Brubeck and Tristano as well, but Evans inspired me to study, study, study just as hard as he did. RAM: You’ve called him America’s Chopin, which to some people in the classical world is considered heresy. What makes this comparison credible for you? J.R. Chopin was a pianist/composer strictly for the piano. Bill was the 20th century mirror image of Chopin. RAM : In your first book you bring to attention the under appreciated art form of re-harmonizing on a standard song. You stated that re-harmonizing a song requires that you choose a better chord than the composer chose, which you call quite a responsibility.How was Bill able to walk this tight rope so successfully without destroying the original beauty of the composer’s work? J.R.: Because he was a composer himself and I believe only a composer is allowed to re harmonize a song and make it right and better than the original. Many are called but few are chosen. R.A.M. : What attracted Bill to re-harmonize a particular song like Berlin’s “How Deep is the Ocean” or Styne’s “ I Fall in Love Too Easily”, two song's you deconstruct in Volume 1? R.A.M. : As a performer Bill would play many of the same songs from his repertoire repeatedly. Didn’t he often change the way he played a particular song, improvise upon his own compositions as it were, over the years depending on his mood or which rhythm section he was playing with? J.R. : No. He set the arrangements 'in stone", as if he was the composer, but allowed the "moment" to improvise variations. The rhythm section DID NOT influence his playing one iota. Bill influenced their playing 200%. R.A.M. : What makes one rendition of “Peri’s Scope” or “Waltz for Debby” more complete or satisfying than another? J.R.: Each one is complete to my ears. R.A.M. : : What do you consider Bill Evans crowning compositional achievement? J.R.: "TIME REMEMBERED"; because there are no active ( dominant ) harmonies in the progression. A miracle of major proportions! No one has achieved this, no one; no other composer from the 1600's up to the 1980's. That's magic. R.A.M. : My personal favorite composition of Bill’s is “Blue in Green” which to me is a jazz classic of the highest order. Even though it is often credited to Miles Davis it is fairly well established that Bill Evans wrote this haunting song. I once asked you what makes a song like "Blue in Green" so special that it endures forever and becomes a classic that inspires other people to play it for generations? Care to finally give me an answer? J.R.: This is another miracle because the piece never ends; there is no final cadence, (definite ending). It just keeps going around and around and around and.........! When it stops it never sounds like it should; That's the way Bill wanted it to sound. Miles could never have conceived this and I love Miles. He stole Chuck Wayne's song "SONNY" and re named it SOLAR!!!!!!!!! R.A.M. :In 1992, in the preface of your first book, The Harmony of Bill Evans(Vol 1) you stated: “Composing is the highest calling for a musician. Performing…always takes second place.” During my 2008 interview you said “ I believe a composition is still-born until it’s played.” If a composition needs to be played before it has life explain how performing takes second place to composing? J.R.: Because there would be no performers without a composition to play. If the composition isn't played it doesn't exist! R.A.M. : You place composition above improvisation as the higher of the two art forms. You talk about the need for the artist to sit with his instrument and after hour upon hour of practice or playing he must trust that he or she will somehow be able to tap a deeper level of creativity. A level that, when mastered, will engulf one like a light during a performance and allow one to achieve what amounts to a spiritual awakening. You like to call reaching this level magic. Many musicians say that sometimes through spontaneous improvisation they can channel to a higher enlightenment or as some would liken it to a vast reservoir of spiritual energy. Doesn't acheiving that magic either through composition or improvisation put the two forms on equal footing? J.R.: I can't define or explain "magic" other than to say it's possible in all of us. R.A.M: Others have had this magic. Charlie Parker, John Coltrane, Art Tatum, your former teacher Lennie Tristano. Why single out Bill for such in depth analysis and discovery of his particular magic? J.R. : He (Bill) had more "magic" for me. R.A.M. : Isn’t it enough for all but the most academic to enjoy the beauty and sensitivity of his playing without deconstructing his every note and passage to see how and why he might have used the techniques that he did? Ultimately isn’t it about a sound that moves us? J.R.: I enjoy deconstructung every note and phrase in order to understand and hear how and why Bill used the melodies/harmonies/rhythm the way he did. It always seemed "right" to my ears, and sense of balance. And this never, never detracted nor disturb me from enjoying the beauty of his art for it's own sake. R.A.M. : Do you feel that you have achieved “magic” in your own compositions and performances and how has studying Evans work made your work more magical? J.R.: It takes one to know one; (a magician to know a magician). All my compositions are magic. However , I take no credit for them . My Father, (the "ONE" who birthed me), has created them. I am the "messenger". I learned all about composition from the Masters. My performances rarely have magic. That's why I still practice 4-6 hours daily! Hank Jones, the last surviving member of the jazz triumvirate of Jones brothers- which included brother trumpet, composer and big band leader Thad and polyphonic, rhythmic powerhouse Coltrane drummer Elvin- passed away in a hospice after a brief illness on Sunday according to reports in Times. He was 91 and he will be missed. I had the privilege of meeting Mr. Jones at last years Jazz Journalist Association Awards ceremony where he attended. I got to shake his hands and they were cold as ice, so much so that he apologized for their iciness, undoubtedly a circulatory problem. But when he went to the piano the blood flowed to his fingers, always producing warm and sensitive notes with not the slightest bit of chill in them. Howard Mandell has a wonderful piece on Hank that you can link to here. .Hank R.I.P. Times Square at night, resplendent in its pixelated luminosity, was clogged with tourists as well as the curious, this despite the recently thwarted bomb attempt on May 1st. The massive showing of police on the scene made it seem like a surreal sequence from a Bruce Willis action film; a city waiting for something ominous to happen. Despite the eerie mood, the marquis at BB King’s Blues Club & Grill announced to the world that Miss Nancy Wilson was making her first New York appearance in several years. An orderly line of well-dressed, sophisticated New Yorkers spanned from the box office, halfway down forty-second street, patiently awaiting entrance to this sold out show. BB King’s is a spacious venue, seating approximately five hundred patrons, located at 42nd street between 7th & 8th Avenues. It has an excellent sound system with unobstructed viewing from almost any vantage point. Her long-time rhythm section of Llew Mathews on piano, John B. Williams on bass and Roy Mc Curdy on drums, accompanied the classy and beautiful Miss Wilson. As the house settled in, the trio warmed up with a swinging version of “Yesterdays”. The tight interaction of these fine musicians showed their mutual affinity. Miss Wilson entered the stage in a sleek and clinging red gown in great form, looking both radiant and beautiful, belying her true age (she is seventy three this year). Her mobility was somewhat hampered by a broken ankle which was girded by a soft, black cast which she proudly displayed on her right ankle. This display of gritty showmanship endeared her even more to her already enraptured audience. The set started off with the Van Morrison classic “Moondance”, with Ms Wilson inflecting her voice in her own special way, having only slight difficulty on some of the higher passages. She prefers to be thought of as a “song stylist” as opposed to a singer. True to this concept, she seems to be able to internalize the lyric of a song, personalizing it with carefully placed changes in intonation, sometimes introducing subtle growls or wavering inflections to give the words a life of their own. 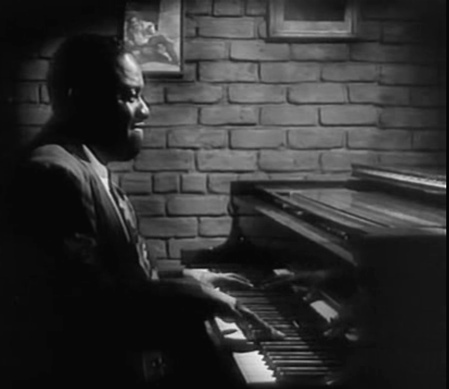 The magic is due in no small part to the accompaniment of Mr. Mathews on piano, who seems to know how to deftly fill in the spaces that Miss Wilson deliberately leaves between words. On “I Wish I’d Met You”, Ms. Wilson engages her audience with the personal footnote that it was dedicated to her husband. Her voice gives the listener a glimpse into her own inner most thoughts and feelings about the song and its relevance and the audience responds accordingly. She is scrupulous in her choice of material. She has easy conversationalist manner which is totally disarming. A case in point is her introduction to Duke Ellington’s “ Take Love Easy” where she quips to the audience that at her age that is the only way to take love, nice and easy. Her vocal control became increasingly more refined as the evening progressed; by her own account she has not sung in public for several years. Perhaps the most moving song of the evening was “Come Home to Me”, a slow blues that she was able to drench in emotion, pathos and sensuality. She followed this with a slow moving ballad “Don’t Misunderstand” and then as if to prove she hadn’t lost her swing she sang “ I Thought About You” with up beat solos by bassist Williams and pianist Mathews. For most of the evening drummer Roy McCurdy was content to anchoring the beat only occasionally breaking out and soloing briefly. Llew Mathews switched to electric piano for Ms Wilson’s version of Bonnie Raitt’s poignant “I Can’t Make You Love Me”, which for me caught Ms. Wilson a bit out of her element. On “Day in Day Out” Ms Wilson’s voice was strong and spunky provoking memories of her ability to work fronting a big band as she once did with the Dizzy Gillespie All Star Big Band on this number. A duo on “Blame it on My Youth”, with bassist John B. Williams using his upright electric bass, featured a playful interchange, as Williams penchant for sliding bass lines seem to put a smile of Ms. Wilson’s face. Ms. Wilson made it a point of telling the audience that her rhythm section band members had been with her for at least the last twenty years, quipping with a wink that “…she knew how to hold ‘em, and she didn’t mean poker.” She is the consummate entertainer and on her next number “Guess Who I Saw Today”, a song she first recorded on her Capitol record Something Wonderful from 1960 , she becomes the master storyteller. A sly song of deception, infidelity and discovery, she sings the lyrics with a telling feigned naivete that pulls the listener into the scene she creates with her fetching vocals. On the final three songs “How Long Has this Been Going On”, “Teach Me Tonight”( a request that she did with some trepidation) and “If I Could” her voice was surprisingly elastic, and wonderfully controlled, despite some loss of range. She creates urgency without ever breaking into a screech, knowing full well her own limitations, with Mr. Mathews obligingly lowering the key to accommodate her range when she deemed necessary.I was somewhat disappointed that she didn't sing my personal favorite "Save Your Love for Me" from the seminal album with Julian "Cannonball" Adderley. Nevertheless the show was superb.If there were any doubts as to Ms. Wilson’s vitality and her ability to enthrall her audiences, they were put to rest on Sunday at BB King’s.One look at the line of gentlemen fans that waited for a chance to talk to her or get her autograph at the end of the show left little doubt about her retained popularity. She remains one of the most engaging performers, a true treasure and her return to New York after so many years was nothing short of triumphant. The short sauntering “Three two you” is a delicate piece that has a laid back simplicity to it, with Talmor's beautiful tone dominating. “Days of Old intro” and “Days of Old” are studies in restraint. Swallow plays a nimble introductory solo on his electric bass in the high register, evoking a guitar-like sound. Talmor’s tenor has an evocative tone that softly explores the song with a probing sensitivity. Nussbaum is a master at using a modicum of motion to its greatest effect. 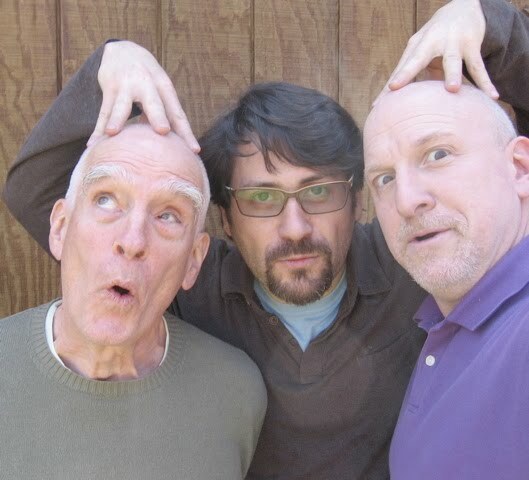 Musicians: Ohad Talmor (tenor saxophone); Steve Swallow (electric bass0; Adam Nussbaum (drums). Tracks: Playing in Traffic; Three two you; Days of old intro; Days of old; Adam and Steve; Here Comes everybody; Quiet inside; Undress under duress; More nuts; Warmer in heaven; Too; Up too late.